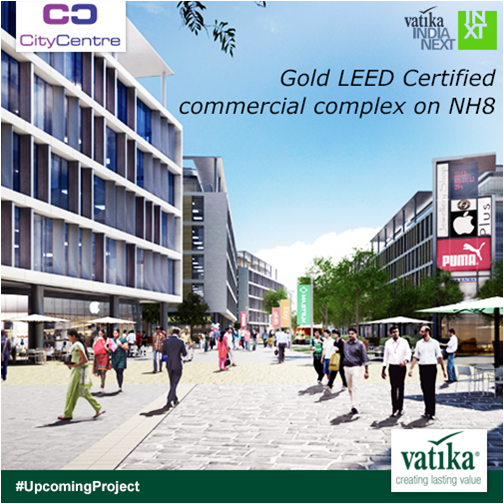 Vatika Business District on NH8 is the new commercial zone in Gurgaon that offers unmatched economic efficiency for new businesses and established concerns alike. With rates in older established commercial locations in Gurgaon hitting all-time highs, Vatika Business District has emerged as the best alternative for corporates that desire state-of-the-art infrastructure and facilities without paying exorbitant amounts for real estate. Advantage of scale: Vatika Business District is spread over 63 acres – mostly in Sectors 82A and 83, with one project (the iconic Vatika One On One) in Sector 16. 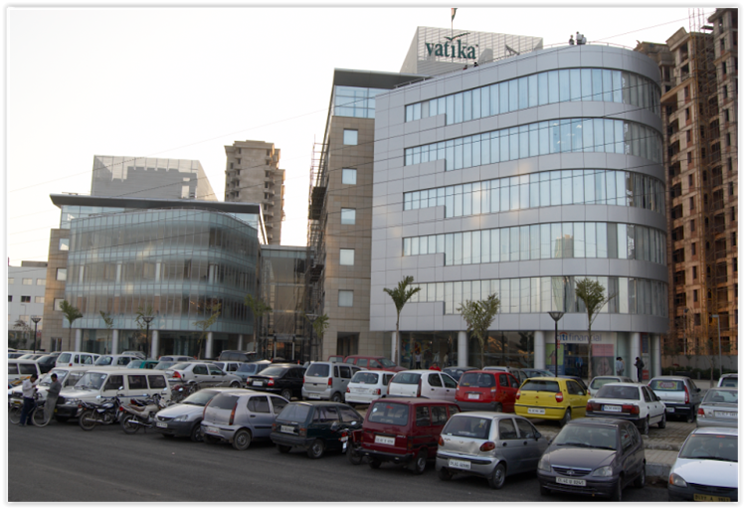 Because of its large size, VBD (Vatika Business District) accommodates a number of different commercial projects, which together have space for hundreds of offices. These many enterprises situated in the same area create immense commercial synergy, and the whole area will develop as a thriving business hub. Unbeatable connectivity: Vatika Business District is sited at the intersection of NH8 and Dwarka Expressway. Not only does this mean excellent connectivity by 20 km signal free drive from the airport, but the new ISBT and proposed Metro hub are literally right across the road too. There is also a regular shuttle service between VBD and the HUDA City Centre Metro Station. 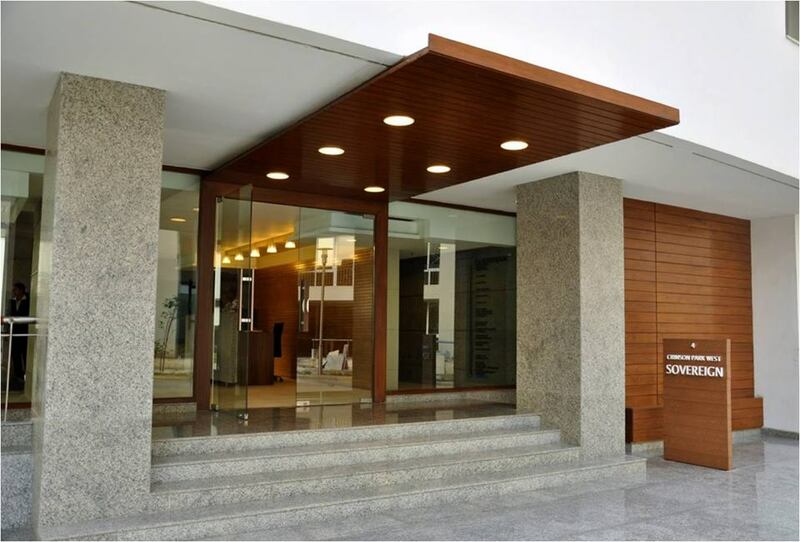 This entry was posted in Business Centre in Gurgaon, Commercial Office Space, Commercial Properties, Commercial Property Investment on March 7, 2018 by Om Naryana Mishra. Among the several business ideas that ensure a smooth cash flow, commercial real estate is an exceptional one. Investing in commercial real estate sector has become a common trend nowadays. Sometimes the prices in real estate can go very low and at time you can yield a good return on your investment. However, to enter the race of smart business, this certainly is the best time to invest. A property with good returns is the first aspect to look for in the real state business. Next comes the strategy to strike a good deal. The following tips will help you survive in the commercial real estate business. This entry was posted in Commercial Property Investment and tagged commercial investment properties, investing in commercial real estate, investment property with returns, property with good returns on March 11, 2015 by Admin. What can be a better deal than investing in something that doubles the money? And investing in commercial real estate is a sure shot formula of getting higher profit at minimal risk. However, to accomplish it successfully you need to go for some smart choices like when to buy property for investment. Your utmost objective should be to hit the right area at the right time. Cash-on-Cash Return: When you invest in any illiquid asset, such as real estate, you take money out of your liquid assets, including stocks and bonds. And on these liquid assets, you were earning around 4 to 5 per cent return; therefore choose a property with high return. This will help you to earn decent returns. Less Time for Managing: There are a few real estate properties that require a lot of managing time. Therefore, it important to go for a smart investment, and avoid properties with vacation rentals or properties located in bad areas. However, a good property rented to a decent tenant can be advantageous as you need not to put in too much managing time into the property. Moreover, when you treat your tenant nicely and with respect, there will be no hassles and things will move smoothly. Invest in a Growing Area: Preferably choose a growing location over an established one to get a good return. In any developing area, the rate of property will be very high and that can be little difficult to invest in for a middle class person. And even then if you are planning to invest in a developed area, you might have to compromise with a small size commercial property. Moreover, the value of commercial property increases more in any developing place, than that of developed area. Guard against Inflation: Commercial property for investment sale has a high potential to evade inflation as the values and rents of properties increase regularly. For occupants, renting a property has been more attractive in comparison to the new construction, especially during the times of inflation. Nobody can forecast the time of inflation, so if you are lucky enough and invest right before the inflation, you will get a good investment property with returns. This entry was posted in Commercial Property Investment and tagged commercial property for investment sale, investing in commercial real estate, investment property with return, property with high return on January 9, 2015 by Admin. Hiring the right broker for your commercial real estate deals is one of the most important business decisions that you can make. Though it depends on your investment proficiency level, but getting an experienced broker while purchasing a commercial property for investment purpose, can help in identifying the do’s and dont’s of property investment. Proper negotiation with the help of a broker can help you in satisfying all potential buyers. As for the experienced players, they are fully capable of operating independently. However, if you take the help of a broker, it will help one way or another. In commercial property investment, it is very likely that you would require the assistance of a broker. If you are able to find a broker who is experienced and familiar in the industry, he will be able to provide you with a clear direction in choosing the perfect investment solution. For example, if an investor intends to purchase a building that is abandoned, in order to restore it and further rent it out to businessmen in retail industry, a broker may be able to help the investor by suggesting the future potential of the chosen area. The investor will then be able to make a proper judgment on whether the money that he is investing will provide good returns. 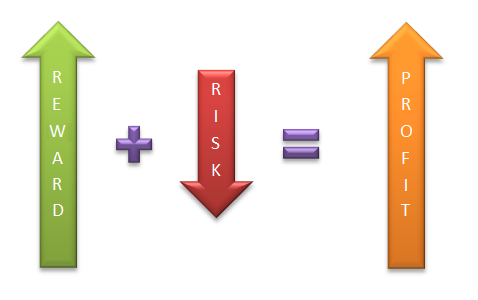 Without a broker’s advice, the investor is capable of making wrong investment decisions. Investing in commercial properties requires a great deal of planning and brokers can do a lot more than research about the target area, they help investors in spotting the right investment opportunity. Most of the time, a broker is able to suggest to a potential investor the right property with high returns. A broker may even have inside information about a property that is going to be publicly listed. 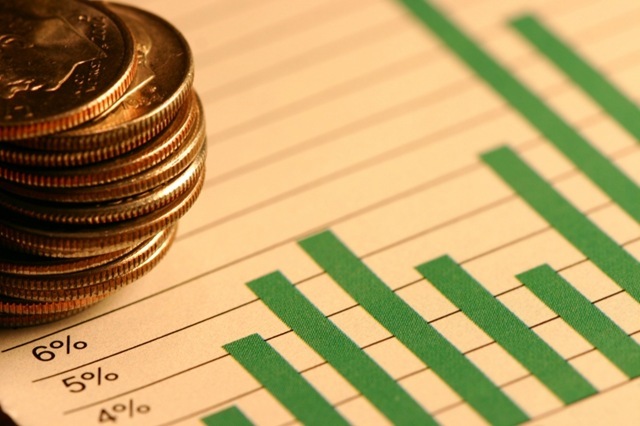 This will provide the investor an opportunity to assess the information in detail and much earlier than other people. Lesser competition provides the investor with an advantage during negotiations with the property owner. With extra commission, a broker can even negotiate on behalf of the investor. This is a win-win situation for both the investor as well as the broker. This entry was posted in Commercial Property Investment and tagged commercial property for investment purpose, commercial property investment, Investing in commercial properties, property with high returns on December 30, 2014 by Admin. Earning from commercial real estate properties in Gurgaon requires a lot of caution about the investment decisions. Real estate business like any other business requires great deal of speculative acumen, analysis, industry knowledge and the right assessment of facts and circumstances. If you are serious about earning money by investing in real estate, you should be aware of all possible trends in the present as well as in the coming future. In the past, property market in Gurgaon has gone into a slump, due to the world economic meltdown and it took a long time for it to recuperate from the setback. The real estate sector in Gurgaon has now picked up momentum and is expected to have a good growth trajectory in the future. The promising trend has lead investors, institutions and individuals to have a renewed interest in the Gurgaon Commercial Property market. Big infrastructure development companies have attained new lands for their new projects coming up in the region. Earning from Commercial Real Estate, Gurgaon, requires good vision to see the localities, in which major development has taken place in the city. 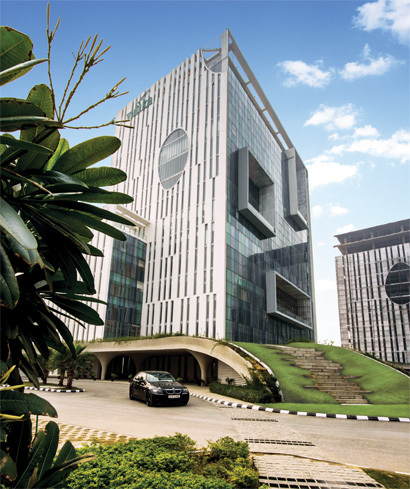 The region is in an expanding phase due to growing urbanization and commercialization of Gurgaon. Investing in commercial spaces for rent, is another method of earning money from real estate, as businesses require these properties to run, as well as establish their businesses and they pay huge amounts of money for this purpose. Location is of prime importance in this, therefore, there is no better address than Gurgaon to invest in a commercial property. 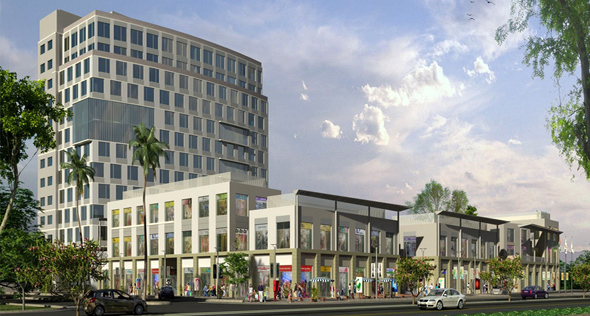 With a number of commercial properties available for rent, more and more businesses are moving to Gurgaon. Thus, in order to earn money from Gurgaon’s commercial real estate, you should be aware of the locations of the major development projects in the city. Knowledge about this aspect can lead to good investment and profits. There are a number of good projects coming up in the region. Commercial retail spaces in Gurgaon, are of paramount significance in terms of investment as you can earn great profits in such investments. This entry was posted in Commercial Property Investment and tagged Commercial Real Estate Gurgaon, Commercial retail spaces, commercial spaces for rent, Gurgaon Commercial Property on December 17, 2014 by Admin.